Given the fact that fresh-water sources aren’t readily everywhere and a substantial part of the human race has no access to potable water, conservation of fresh water today is the need of the hour. 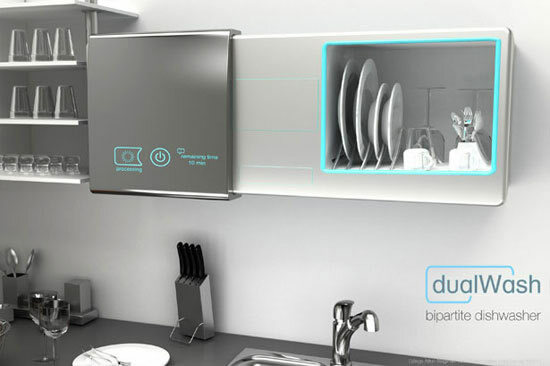 This amazing concept we came across is an answer to eco-friendly home appliances and makes no use of water to wash utensils! Called the DualWash Bipartite Dishwasher, this waterless dishwasher also doubles up as a dish-cabinet and cleans and stores your tableware. Using a carbon-dioxide based cleaning solution that uses supercritical carbon dioxide, or simply put, liquid carbon dioxide with an extremely low surface tension, the DualWash Bipartite Dishwasher sits snug above your kitchen counter and meticulously cleans all your dishes. Space-saving, environment friendly and a time-saving approach to doing the dishes, the DualWash Bipartite Dishwasher is a fabulously green concept indeed. Tired of adjusting your solar panels to make the most of the sunlight outside? Well, you could now have a robot do the job for you! By California-based startup Qbotix, this robot called the SolBot uses a track positioned alongside the solar-panel array and using a magnate, locates each station. The robot then attaches itself to the unit and suitably tilts and adjusts the panel towards the sun, helping increase energy generation by nearly 40%! Measuring 1.5 meters long and a meter high, these robots use lithium batteries to power up and manage nearly 200 panels at a time, taking 40 minutes to adjust these all suitably. 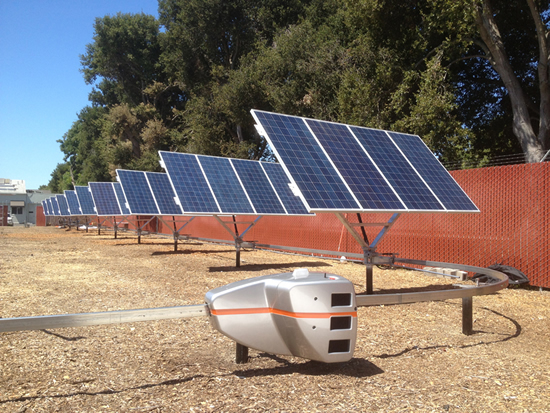 Available in 300-kW units with a back-up robot and steel tracks included, the SolBot robot also packs GPS connectivity for data collection. Tired of those conventional tacky plastic keyboards you’ve been subjected to all along? Show off your green self and pick out one of these beautifully crafted keyboards and mice by Hama, part of the EcoLine range. 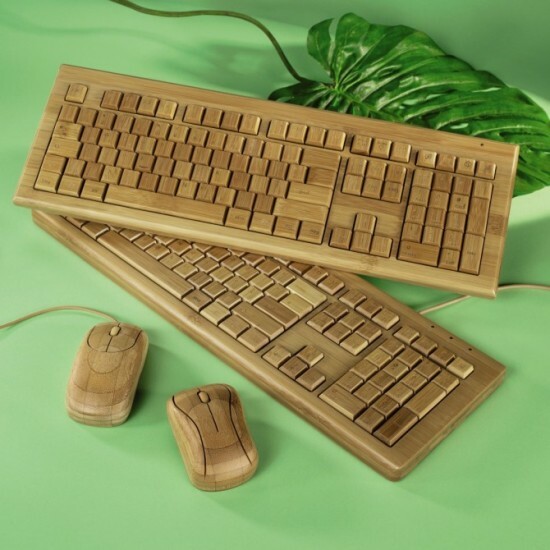 Available as wired or wireless peripherals, these green hardware pieces are made from bamboo, a quickly growing renewable resource that has in the past proven to be a fantastic material to build every-day consumer products. Complete with height adjustment, a battery status indicator and soft-touch keys, the keyboard and mouse hook up to the computer using an included USB nano receiver. While the wireless keyboard and mouse cost $86 and $37 respectively, the wired version costs just $74 and $25 for the keyboard and mouse. The Mola (ocean sunfish) is one of the best engineered creations of nature and is known for its sun-basking tendency. Inspired by this gigantic fish, at times known to weigh up to 5,000 pounds, the engineers at AeroVironment have come up with a new solar-powered robot with underwater capabilities. Capable of gathering its own solar energy which in turn is used to power up this robot, this creation by AeroVironment called the Mola robot packs no batteries and energy harvested is directed to the two fins in real time, which in turn propel the robot. 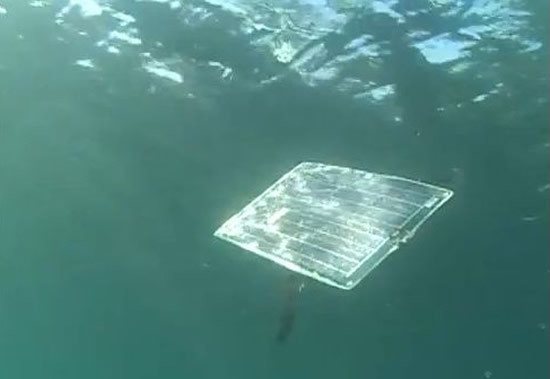 Sporting an on-board data logger, also powered by the sun, the Mola robot sports a 2 knot cruising speed and uses gallium indium phosphide solar cells, capable of generating energy from the sun underwater. Energy-efficient Mitsubishi air-conditioners power down when no-one’s around! Air conditioners are known energy suckers and given the fact that the globe as a whole is slightly turning warmer by the day, the most of us resort to one of these to keep our living spaces cool and comfortable. Mitsubishi Electric Corp’s newest air-conditioning line, the ZW Series crafted specifically for home use are an eco-friendly way to cooling your home. Using a power-saving system called the Smart Stop System; these air-conditioners detect human presence and turn to low-power consumption modes when a room’s empty. To be made available in 11 models with cooling powers ranging from 2.2kW to 8.0kW, these energy-efficient air-conditioners will hit store shelves by November 2012 and will be priced at around $2,651 onwards. Carnival costumes are known to be flashy and eye-catching, packed with extravagance. So when designers Moritz Waldemeyer and Japanese fashion designer Jum Nakao set about design costumes for the Olympic Closing Ceremony, they decided to go the eco-friendly way. 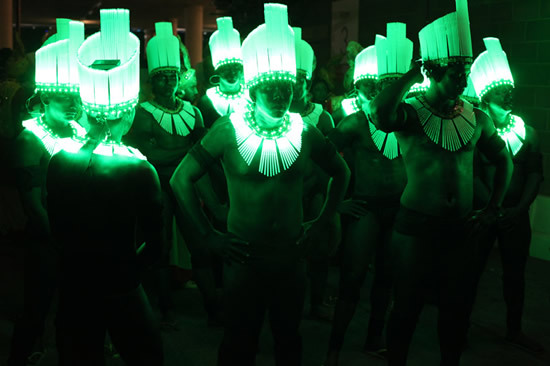 Using LED lights to their advantage, Waldemeyer and Nakao came up with 140 costumes used for four different performances, an eighty-piece drum parade, brazilian samba girls, amazonian folk dancers, and the maracatu. And as expected, the LED-packed costumes did create quite a spectacle, showcasing the blend of fashion, technology and a hint of eco-consciousness with the use of low-energy-consuming lighting, inspiring designers world over with this eye-pleasing carnival-esque experience. 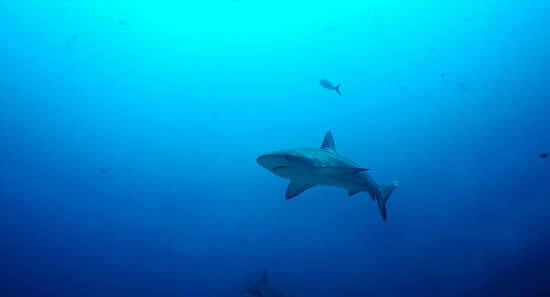 Following a shark around isn’t one of the wisest things a human being would want to do, which is why we use robots these days to track down sharks and better understand their patterns of behavior and life. Researchers studying the aquatic life, particularly sharks, can now resort to a more eco-friendly way of tracking down these feared blood curdlers. Called the Wave Gliders, these solar powered underwater robots could be put to use by the likes of the Stanford University and Hopkins Marine Station and are in essence self-propelling automatons that use the energy of the sun to power up. with body designs replicating surf boards, these Wave Gliders track tagged sharks and help nearby laboratories collect information in regards to these deadly fishes, helping us better understand just what keeps our finned friends going. The fast depleting non-renewable energy resources like coal and nuclear power, has reduced concerns among many legislatures and board room meets around the world. Besides natural gas, wind, solar and geothermal energy, there happens to be yet another zero-emission source that hasn’t seen the light of day until now. It’s called prisoner power and it is sourced at a security prison near Santa Rita do Sapucai in the mountains north of Sao Paolo. In this enterprise, inmates at the facility in Brazil have been given an option to reduce their sentences with an at-par count of 24 hours pedaling for a reduction of their stay in the prison by a day. 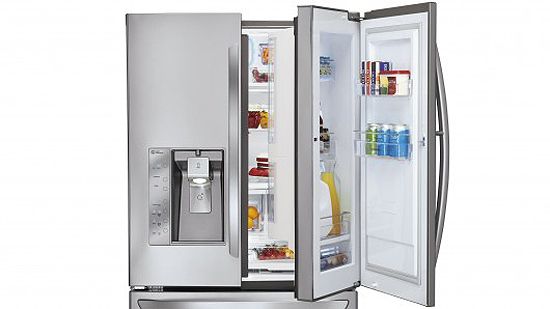 Refrigerators lose their cool every time you swing open the door to grab stomach-treats, literally. This in turn leads to higher energy consumption to suit cooling requirements, increasing your electricity bills considerably. LG has now unveiled the latest in home-appliance technology, a new Door-in-Door French-door refrigerator with a storage compartment in the door itself. This enables you to quickly pull out commonly-used foods, without having to swing open the entire door! With enough space to store salads, bottles of beverages, fruits and a lot more, this additional compartment helps keep the temperature of the refrigerator stable. 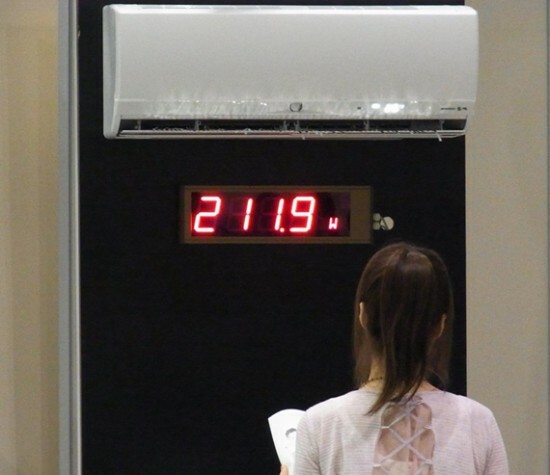 Helping save nearly 8 to 17% on your energy expenditure, this refrigerator could show up with a price tag of around $3,500. 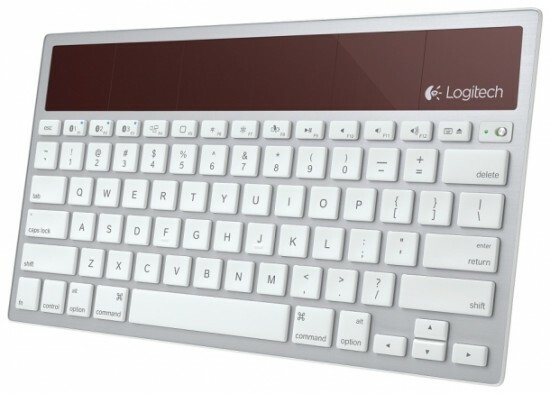 Solar Powered Wireless K760 keyboard unveiled by Logitech powers up for three months! As computer peripherals get greener by the day, Logitech decided to give buyers a great way to type away in a green and eco-friendly way. Successor to Logitech’s first solar keyboard, the K750, the manufacturer has now unveiled the new Wireless Solar Keyboard K760. Using solar energy to power up via a strip of solar cells on the top of the keyboard, this one hooks on to your PC via Bluetooth, making it compatible with iMacs, iPads or the iPhone too! The keyboard can be paired to three devices at a type and with a simple push of a button users can quickly switch between these. Priced at $79.99, this super-green peripheral works for a good three months on a full charge, without exposure to any light whatsoever!